The Memorial Hermann Medical Group healthcare team at the Convenient Care Center (CCC) located in Spring provides high-quality primary care to patients of all ages. They establish a physician-patient relationship that is built on trust and together, determine the right treatment plan. The Memorial Hermann Medical Group primary care team provides wellness and prevention services in addition to acute and chronic disease management. They see patients for sick visits, immunizations, flu shots, and also manage chronic conditions like diabetes and high blood pressure. Dr. Bindu Sudhakaran earned her medical degree from Calicut Medical College in her hometown of Calicut, India, and completed her internship and residency at Emory University School of Medicine in Atlanta, Georgia. 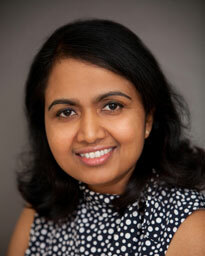 Board certified in internal medicine, Dr. Sudhakaran focuses on preventive healthcare and general internal medicine. Her primary clinical interests are diabetes, high blood pressure and heart disease. She develops strong bonds with her patients in order to understand their problems and help them achieve their wellness goals. Dr. Amie Curbow, MD, is a board-certified family medicine physician treating children and adults of all ages. Dr. Curbow earned her undergraduate degree from The University of Texas at Austin, and her medical degree at The University of Texas Medical Branch in Galveston, Texas. She completed her residency at Conroe Family Medicine Residency Program. Amanda Spratt, MSN, RN, FNP-C is a family nurse practitioner serving patients ages 2 and up. 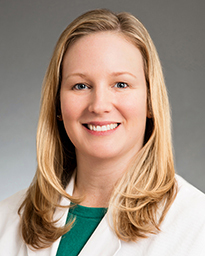 A graduate of the University of Texas Health Science Center in Houston, Amanda became a nurse practitioner to provide a higher level of care to people and help them to better manage their health. Amanda sees patients for well-woman exams, office procedures, and chronic disease management including hypertension and diabetes, as well as acute illnesses including sore throats, aches and sprains, among others. Backed by years of experience, the healthcare team at Memorial Hermann Medical Group, focuses on building long-lasting relationships with their patients. Memorial Hermann Medical Group Spring is conveniently located off of the Grand Parkway. Ample free parking is available.